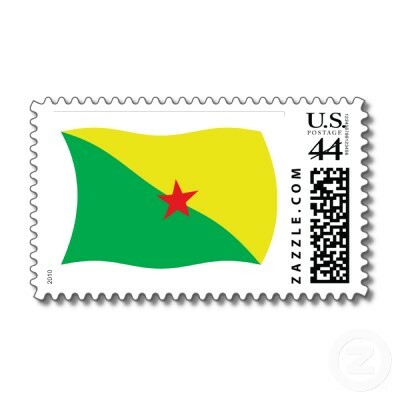 French Guiana is an overseas department of France, and is territory held on the north east coast of South America. 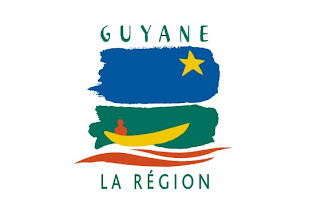 Termed French Guiana a it was bordered by British Guiana, and Dutch Guiana. However, both those territories have since been awarded independence, whilst France has maintained its hold on French Guiana. The French originally settled in the territory during the 17th century, and during the 18th century saw France send a large number of people to colonise it properly. However, in 1809, a joint British/Portuguese force seized the territory for the Portuguese Empire. However, in 1814, it was returned to France. In the late 19th century, a border dispute rose between France and Brazil, and before arbitration settled the dispute, a pro French independent nation was formed in the disputed territory. Officially termed the Republic of Independent Guyana, it was commonly referred to as Counani. Its flag took the French flag and placed it in the upper hoist canton of a green banner. Arbitration finally settled the dispute, mostly in Brazils favour. The 1970's saw the settlement of a large number of Hmong refugees from Laos, and the rise of an independence movement in French Guiana. However, this movement peaked in the 80's, and has since tailed away. Economically, the territory is reliant on grants from the French mainland, as there is very little manufacturing, and very little by way of agriculture. Though it does produce a lot in terms of sugar cane and bananas. 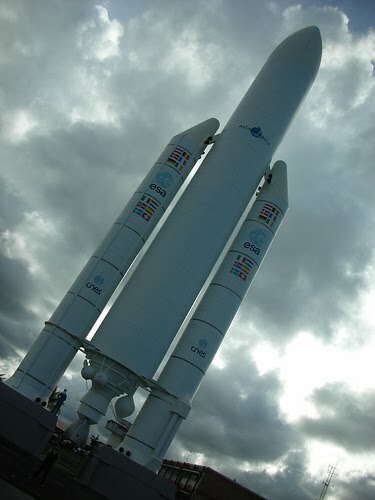 The Guiana Space Centre which is used by ESA for the launching of its Ariane rockets accounts for another 25% of the territories GDP. Formerly the territory uses the French tricolore as its flag. However, the territory also flies its own flag. Before 2010 the territory used a white flag with a logo placed in the centre. It featured a yellow 5 point star on a blue field, with a green field underneath featuring a figure in a yellow long boat riding on orange waves. 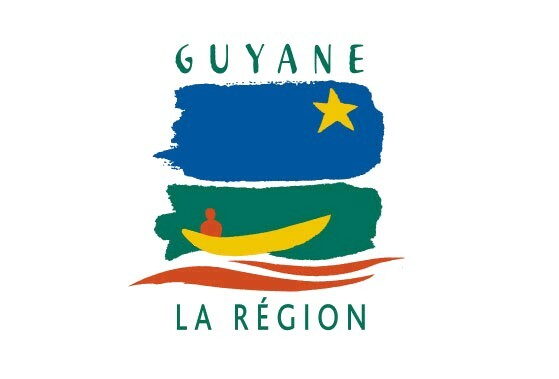 Above the logo is written "Guyanne" and "La Region" below. The shield for the territory is divided into three parts. The top third is blue, and features 3 French Fleur-de-lies, and the year 1643, marking the arrival of the first French. 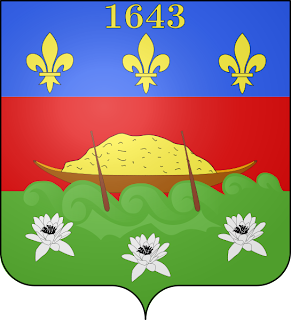 The middle third is red, and features a loaded longboat, and the bottom is green, featuring Guianese flora. However, in early 2010, the territories government adopted a new flag. 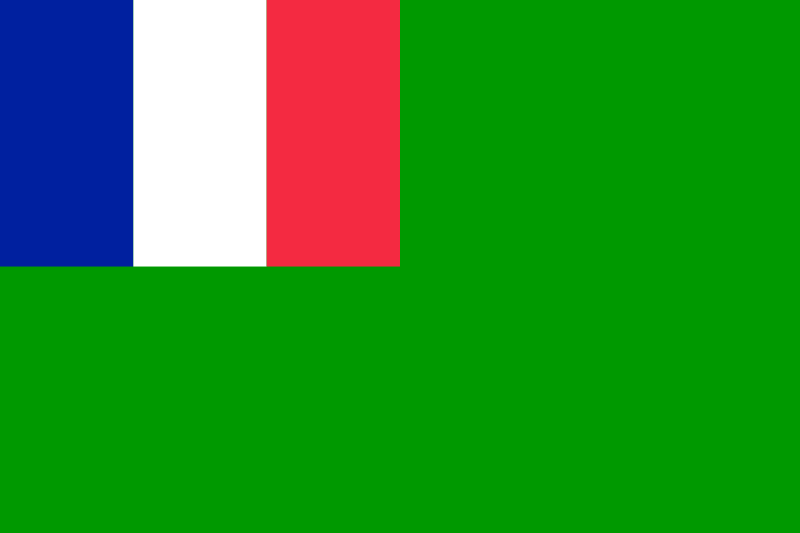 A similar design to the flag of pro-independence unions, this flag is a bicolour flag divided diagonally featuring green and red. 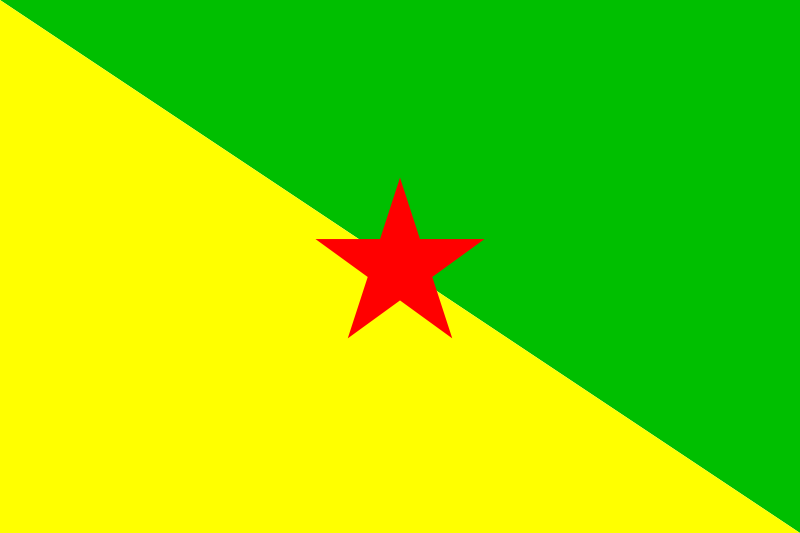 The green represents the forests, and the gold represents the potential mineral wealth of Guiana. In the centre is a red star of socialism.